How to Remove Merry I Love You Bruce Ransomware? We’ve come across thousands of ransomware infections. There were viruses named Locky, Thor, Odin, Heimdall, Aaesir. There were 6 versions of Cerber. There were viruses that add extensions such as .marlboro, .braincrypt, .merry, etc. In other words, hackers could create some really bizarre ransomware-type programs. The parasite you’re stuck with right now is yet another original infection. It adds the Merry_I_Love_You_Bruce extension to the files it encrypts. There must have been a better way for a love confession than creating a parasite. Especially ransomware. Unfortunately, ransomware is so notoriously dreaded for a reason. Not only are file-encrypting infections secretive and sneaky but aggressive as well. As soon as the virus lands on board, it immediately starts wreaking havoc. You will very quickly realize what you’re dealing with. This pest firstly performs a thorough scan of your computer. By doing so, it finds all your data. Yes, all your data. That includes photos, music, favorite videos, important documents, etc. Ransomware is aiming at your personal files and it doesn’t discriminate. Once the target data is located, encryption begins. Ransomware programs use strong encrypting ciphers and this virus is no exception. It effectively locks every single bit of information stored on your PC. Obviously, such a trick could cause you serious damage. The ransomware renames your files. This one in particular adds the Merry_I_Love_You_Bruce extension. How romantic. It would be even more romantic if your files weren’t now inaccessible. Seeing the parasite’s appendix added to your data means the encryption process is over. Your data receives a brand new (malicious) extension. As a result, your computer can’t recognize its new format. That means you’re unable to open, view or use ANY of the private data on your machine. Due to the ransomware’ shenanigans, your files are turned into unreadable gibberish. And that’s not all. While locking your data, the virus also creates detailed ransom notes. You can tell where this is going, can’t you? These ransom messages appear on your desktop as well as in every folder that contains encrypted files. Hackers provide you payment instructions and bombard you with lies. Therefore, you can’t afford to give into panic. Many people become incredibly anxious and worried when faced with ransomware. This is how they fall straight into crooks’ trap. Are you willing to let hackers scam you? No? Then keep on reading. Despite being exceptionally dangerous, ransomware needs to get properly installed. The thing is, you never agreed to download this pest, did you? Such infections rely on your distraction instead of your cooperation. For example, the virus might have been disguised as a legitimate email or message. Next time you receive some spam email, just delete it. There might be a vicious intruder hiding behind it so pay attention. Ransomware might be presented as a job application or a message from a shipping company. Don’t rush to open such questionable emails/messages. Put your security first. Malware also travels the Web via exploit kits, malicious torrents, fake program updates. It could get attached to some freeware or shareware bundle. To prevent virus infiltration, take your time online. Stay away from what you don’t trust and be careful. Another famous trick involves Trojan horses. They often serve as back doors to file-encrypting infections. Hence, check out your device for more parasites because the ransomware might be having company. Why is Merry I Love You Bruce dangerous? To sum up, this program slithers itself on board without your knowledge. It then uses a complicated algorithm to encrypt your personal files. The parasite holds your data hostage and drops payment instructions. Now, according to the ransom notes, hackers would provide you a decryption key. All you need to do is pay a certain sum of money in Bitcoin. Crooks usually demand over 0.5 Bitcoins which equals 452 USD. Furthermore, you should know that paying the ransom guarantees you nothing. It goes without saying that hackers aren’t among the most honorable people out there. The only thing they are interested in is blackmailing you and the decryptor is out of the picture. 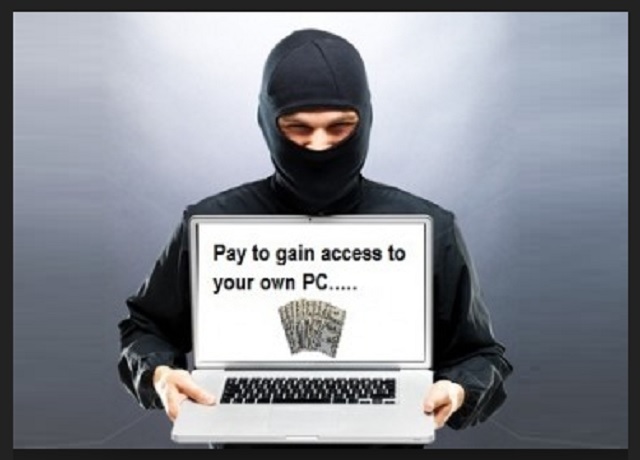 Ransomware is just another clever attempt for a cyber fraud. Unless you keep that in mind, you may lose your money. Following hackers’ instructions is the very last thing you should do. Keep your money and tackle the ransomware instead. To get rid of this virus for good, please follow our manual removal guide down below. Locate any suspicious processes associated with Merry I Love You Bruce encryption Virus. Merry Ransom may have the ability to replicate itself, if not completely cleaned. This may require tracking down hundreds of files and registry keys. You can choose to use Spyhunter Professional Anti-Malware Program to deal with any infection that might be lurking along with Merry Ransom!